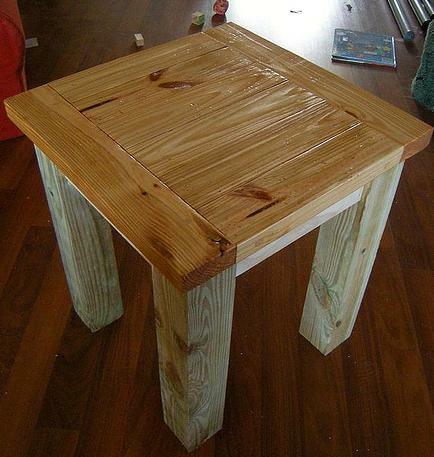 Tired of your old, scratched-up, wobbly nightstand but don’t have the funds for a new one? It’s OK! You can actually do a few creative tweaks to your current nightstand to make it look as good as new without a lot of money and just a few supplies. From giving it a fresh coat of paint, to adding geometric patterns, to applying a wood surface, check out these amazing hacks to revive your old, broken-down nightstand. Add one or more pieces of wood to the top of your old nightstand to give it an entirely new, homey and rustic look. Designer and DIYer Taryn Whiteaker shares how she made over a nightstand with naturally distressed wood. You’ll need some spray paint, old wood, and a few basic tools for this project. 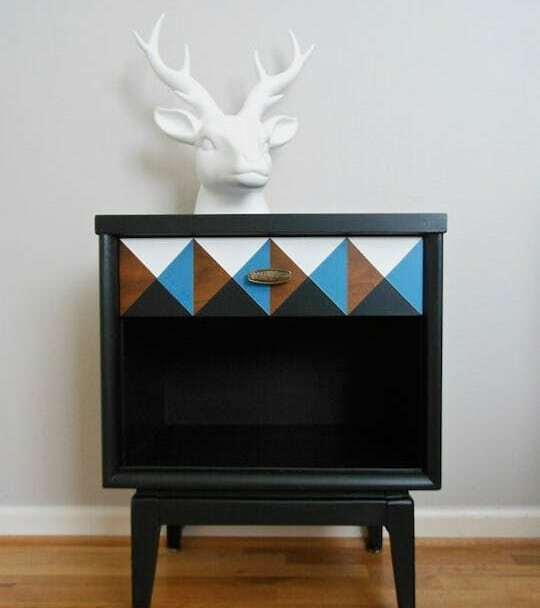 This DIY nightstand makeover project turned an ordinary, all-wood design into a striking piece of functional art using some black paint and engaging geometric shapes. Choose any of your favorite shapes to create your own geometric design. Use stripes and contrasting ornamental handles to give new life to your nightstand. This DIY project turned an old laminate nightstand into a contemporary design piece, adding a bold look to any room. Use Frog Tape or painter’s tape to help create the perfect stripes. Refresh and brighten up your nightstand by applying a new coat of white paint. 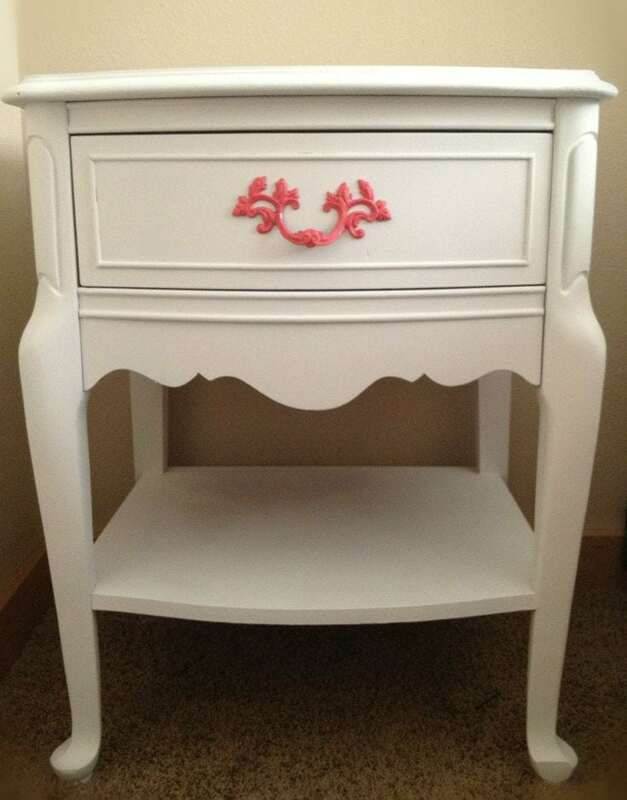 You can follow this tutorial to paint a wood nightstand white. And Southern Hospitality also shares how to paint a nightstand white. 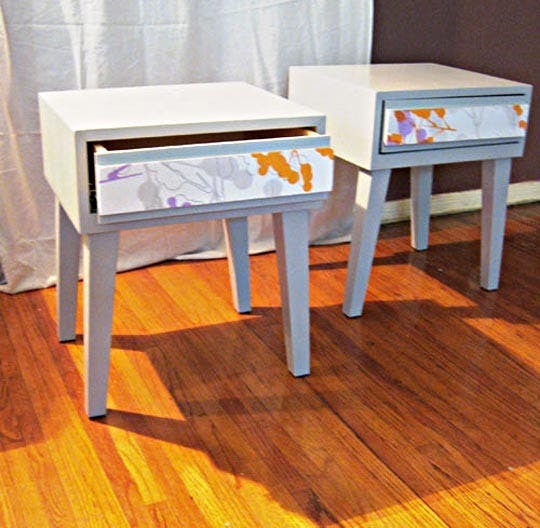 Jazz up your plain, old nightstand by adding a creative stencil pattern. 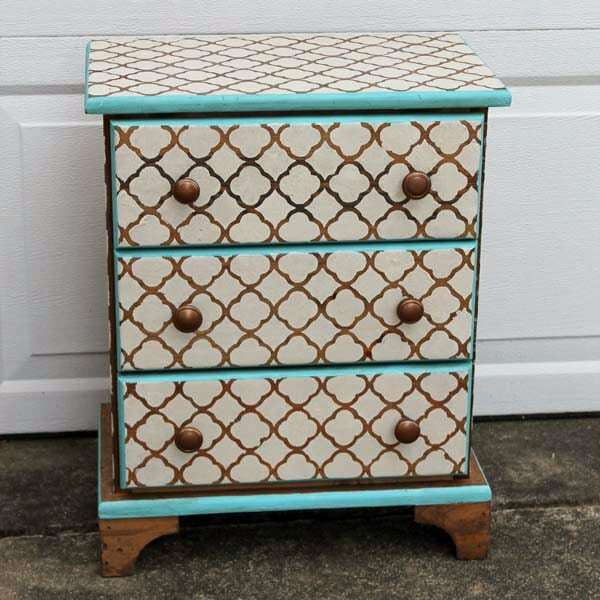 This amazing stencil DIY project from Doodlecraft shows how a patterned design can really transform an old piece of furniture. This project lets your inner artist and designer come out. 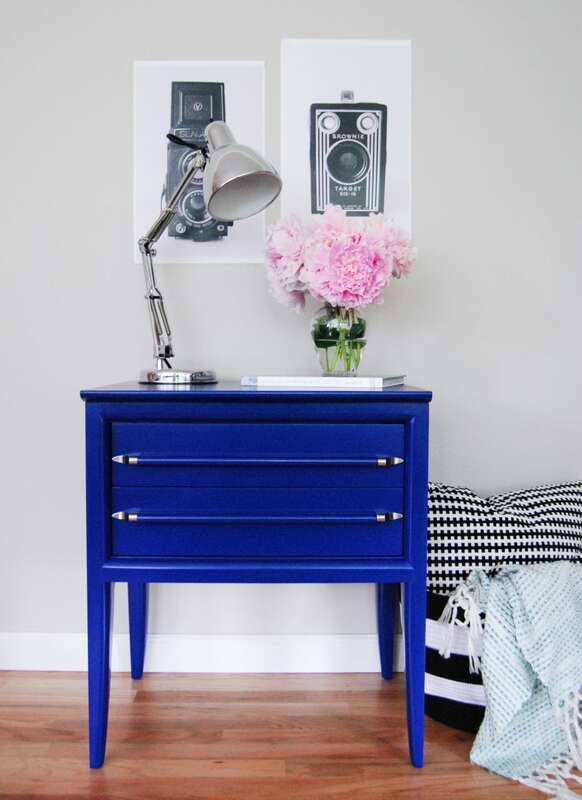 Make your old nightstand stand out with a full coat of colorful paint. Check out this DIY project that turned a pair of old, wood nightstands dark blue for an eye-popping makeover! Any bold color that matches your specific décor will do the trick, though. Add some contrasting colors to your nightstand to make it look like an entirely new piece of furniture. Check out this before and after DIY project to see how fun and easy the process is. 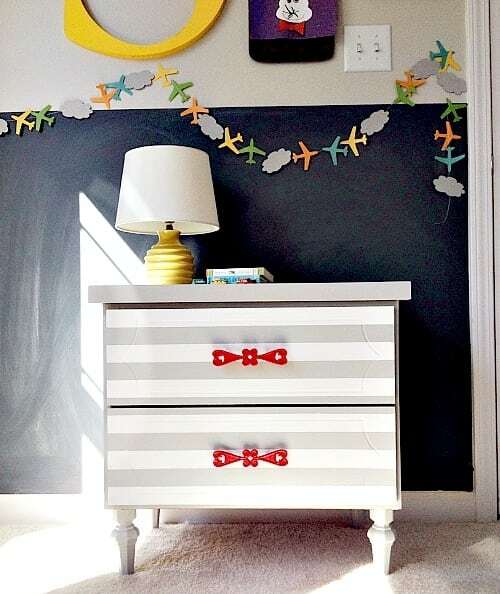 Repaint your old nightstand and add some wallpaper or decorative paper to make it look brand new. In addition to the paint and wallpaper, you’ll need some spray adhesive, polyurethane sealant, and Modge Podge. For the complete instructions, check this how-to out. Have an old piece of furniture, such as a dresser or TV cart, that you’re tired of but don’t want to throw away? Then turn it into a nightstand? The Abundant Abode shows how to turn an old dresser into an elegant nightstand. 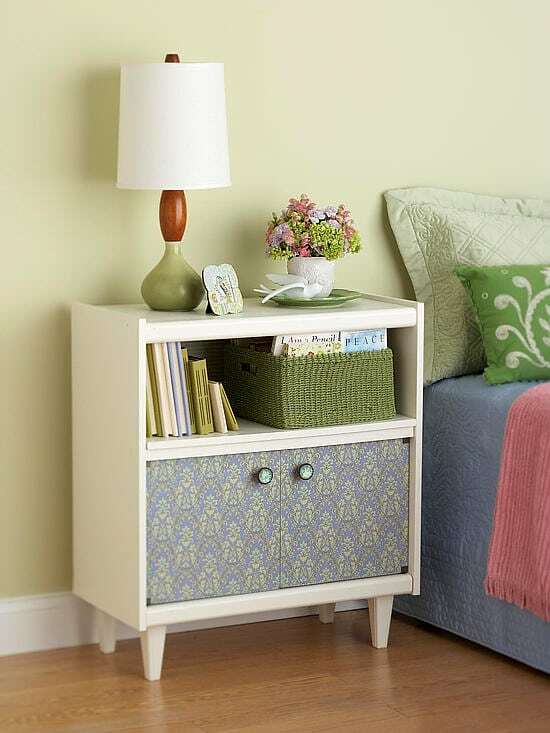 And Better Homes & Gardens reveals how to turn an old TV cart into an adorable bedside table. 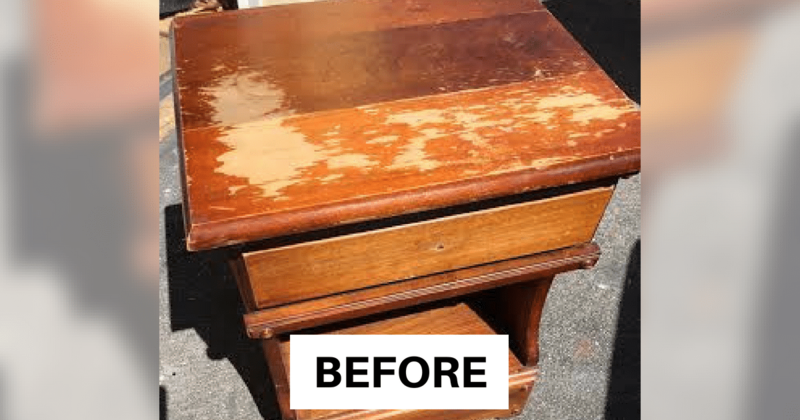 Instead of tossing an old, damaged nightstand, consider giving it the DIY treatment to make it just like new. Using a few supplies and a creative eye can turn an old piece of furniture into something useful and decorative. 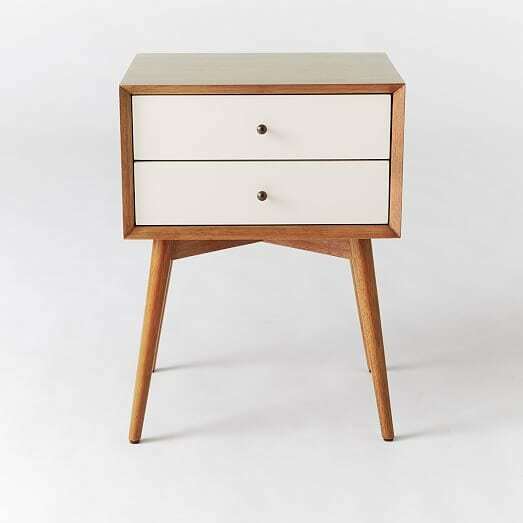 For even more ideas on making an old nightstand new again, check out Homesthetics.